Through your support of the gear industry and the AGMA Foundation, we are pleased to announce the expansion of the AGMA Foundation scholarship program to students in industry-related programs at the technical certification and associate degree levels. 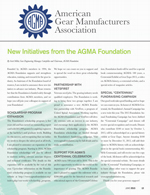 AGMA Foundation scholarships are now open to students at the technical/associate, undergraduate, and graduate levels. 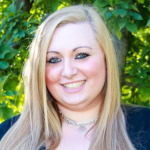 Founded in 2010, the program has awarded $75,000 in scholarships to date. 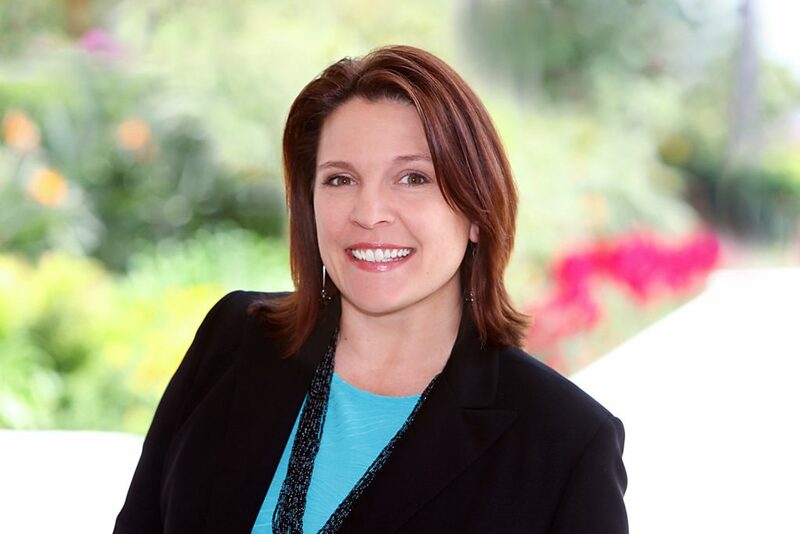 These scholarships are preparing the next generation of leaders in our industry. Andrew Katz, another 2015 scholarship recipient, also expressed his gratitude. You can help bring more talent into our industry by broadcasting this wonderful opportunity. Annual scholarship awards are $2,000 at the technical/associate level and $5,000 at the undergraduate and graduate levels. Applicants must be currently enrolled or recently accepted in a nationally accredited program related to gearing. For more details on the scholarship program, go to www.agmafoundation.org. The Foundation is a proud partner with Vets First, a program of the United Spinal Association. Working together, the AGMA Foundation and Vets First are identifying veterans with an interest in our industry and encouraging their application to the AGMA Foundation scholarship program. Recent Foundation projects include a $200,000 grant to AGMA for the 2016 AGMA Centennial Celebration. 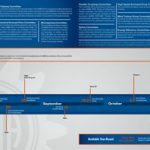 Centennial projects supported by the Foundation include the centennial timeline exhibit at Gear Expo 2015; the May 2016 publication of “Celebrating 100 Years of Gearing,” a book commemorating AGMA’s 100th anniversary; a video on AGMA’s history; and a special AGMA centennial website. The Foundation has also funded many AGMA education programs, including Gearbox CSI, Detailed Gear Design, Fundamentals of Gearing, Hobbing, Parallel Inspection, and Gear Failure Analysis. 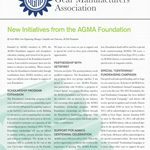 Founded in 1994, the AGMA Foundation supports and strengthens education, training, and research for the gear industry. The Foundation is funded by the generous donations of AGMA members and friends — AGMA dues are not used to fund the Foundation’s programs. We hope you will consider a donation to the 2016 Foundation annual campaign. For more details and to make a contribution, visit www.agmafoundation.org. Since the best design is only as good as its implementation, drawing practices and tolerancing will also be addressed from the designer’s perspective. Learn about translating the general design to the individual component drawings. This seminar provides the gear design engineer with a broad understanding of the methods used to manufacture and inspect gears, as well as how the resultant information can be applied and interpreted in the design process. Discuss the features associated with each manufacturing method with regard to their impact upon and their ability to refine, guide, and optimize the design process. Take two views of the same results: meeting a “specification” and determining acceptability for a specific application and interpreting the inspection data for purposes other than simply determining accept/reject status. Over the past eight years, AGMA has steadily added to its advanced gear engineering course offerings to create the AGMA Advanced Gear Engineering Academy. In that time, more than 1,600 individuals have participated in those courses, with some completing at least five of the seven courses offered. For these dedicated individuals, taking the Academy’s classes represents more than 100 classroom hours. 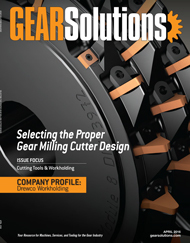 It is quite an achievement for continuing education in the gear industry. The AGMA and the AGMA Education Advisory Council are pleased to recognize those who have completed at least five of the seven Advanced Gear Engineering Academy courses with an AGMA Advanced Gear Engineering Certificate. Francis Nagy — Deca Industries, Ltd.
2016 marks the AGMA centennial. For 100 years, individuals who work within the gear industry have been gathering to share information, complete standards for the industry, and support one another. AGMA began on the cutting edge of new technologies. In 1916, a new gear market was emerging. Today, at more than 480 members strong, AGMA is the leader in the industry, establishing the standards for the wide variety of markets that gears have moved in the last century. Two networking evenings have been scheduled to bring together those that work hard within the AGMA member companies. Bring your colleagues and significant others for an evening dedicated to the people who make up our industry. We invite all those who work for AGMA member companies in the area to attend — plant managers, sales teams, engineers, and more. Renew old friendships, meet new people, and make new contacts. Each of these events is $75/person. *This event is in conjunction with the 2016 Fall Technical Meeting that will be held October 2-4, 2016, in Pittsburgh. AGMA now represents more than 480 companies in 30 countries. Its most recent members are listed here. Find out how an AGMA membership can benefit your company by visiting www.agma.org or email membership@agma.org. David Brown Gear Industries South Africa (Pty) Ltd.
Fine Wisdom (Suzhou) Driving Systems Co., Ltd.